If you want to brave the cold Cambridge winter that is quickly approaching, head outside and away from the convenience of electrical outlets to hear the wind blowing and the birds chirping. For extra bonus points and a nice view, take the stairs off the main lobby to the outdoor patio space. There are random but very aesthetically pleasing and totally instaworthy plant walls that you can sit by on the first floor if you want a semblance of fresh air. 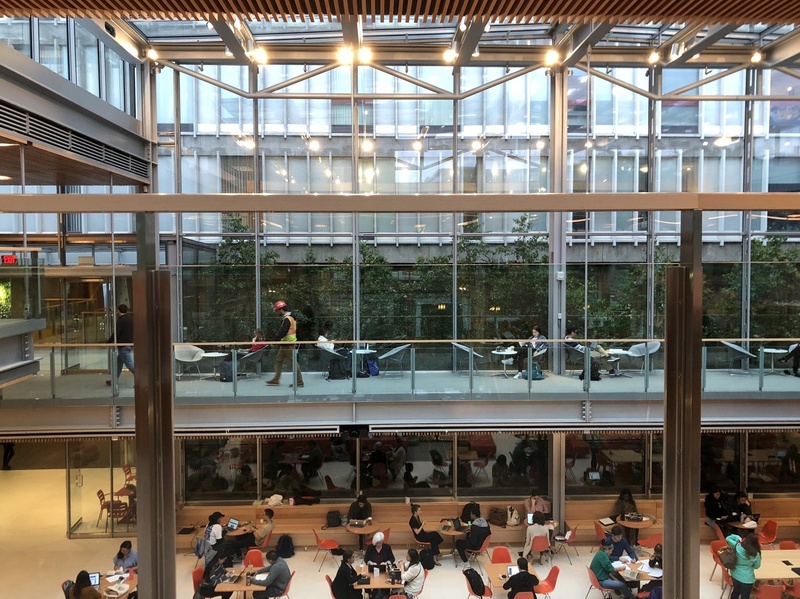 If you’re looking for the best rainy day study spot, head to the second floor of the Commons where the glass ceiling creates the perfect ambiance for grinding away on your psets. A vault. No joke. A literal vault. 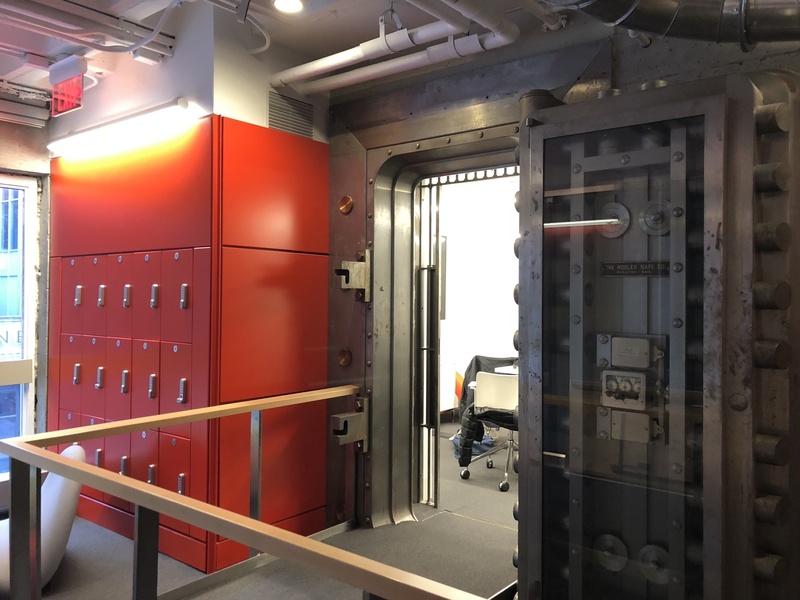 For all the ec bros out there who may want to get in the study mood by locking themselves in a bank vault, Smith has the perfect place for you. Cozy up with your pset group and lock yourselves in for a fun night. The tenth floor views give you a glimpse of the city that you will never actually get to explore because you’re stuck studying. But, if you do want to take a break, the pool tables and foosball tables here should be good distractions. The optimal napping spots are either the 10th floor giant blue couches, or the couches in the “Collaborative Commons.” Insider scoop: the comfiest couch here is the yellow one on the left. Looking for a less depressing Lamont? Head to arguably the most functional space at the SCC — the Collaborative Commons. This place has a mix of everything you want: desks, comfy couches, and conference rooms. The glass walls also make it a great place to people-watch and crank out essays at 3 a.m. But most importantly, this place has spinny chairs! No late night study sesh is complete without a spin on one of these bad boys. 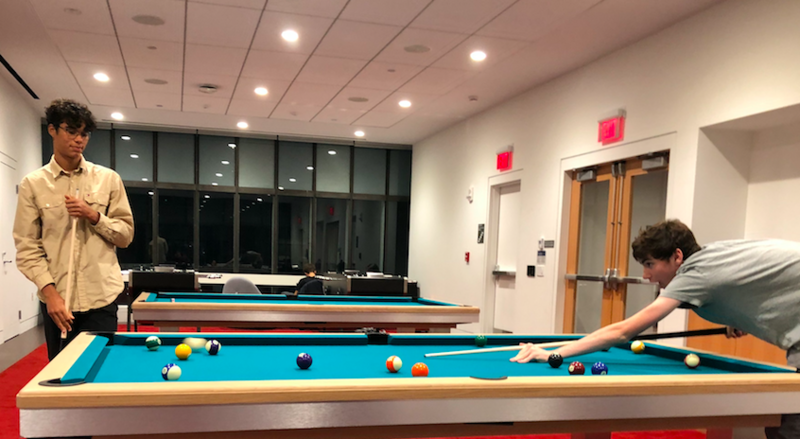 Harvard’s efforts at trying to make studying an “intellectual, cultural, and social” experience with an “abundance of natural light,” come to light at the SCC — a place where it’s acceptable to take your shoes off and study. Thanks, Harvard, for giving us the hottest new multimillion dollar study spot.